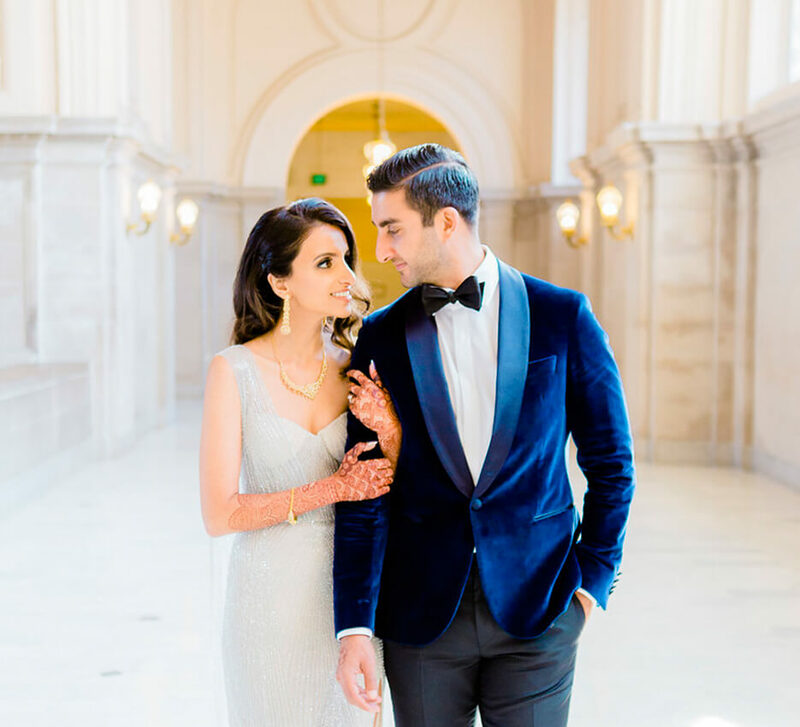 Bright colors, whimsical décor and an expansive guest list, this couple’s wedding brought ‘Punjabi Tadka’ to Los Angeles! 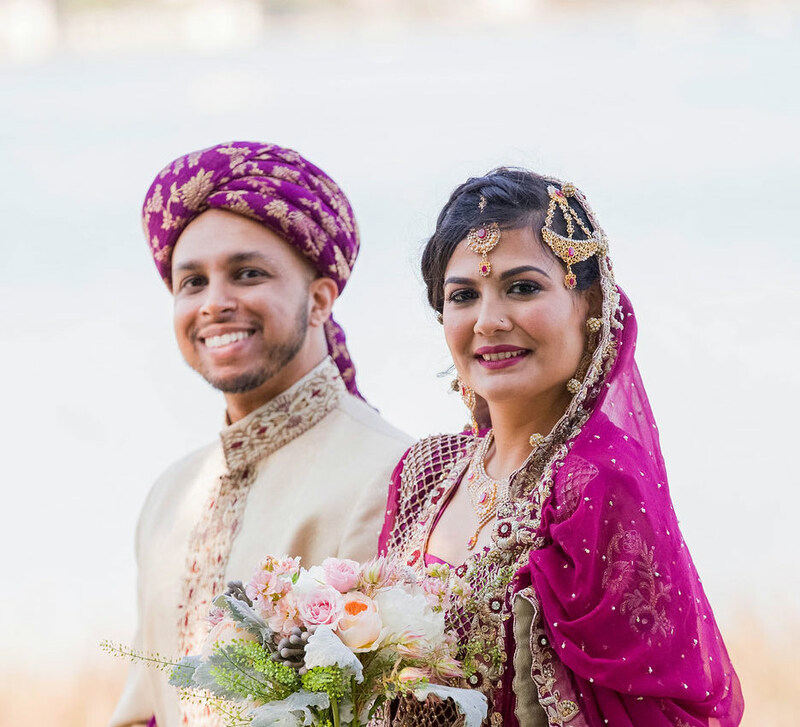 From a colorful and happening sangeet to a dreamy, elegant floral mandap for the wedding, Geena and Sunny chose themes that reflected their personalities. Here, the bride shares details of their special day. “When Sunny and I first met in college in San Diego, California, it surprised me that we hadn’t met earlier. We were both born and brought up in Los Angeles. I’ll be honest, I really disliked him at first and the reason may sound funny, but it is true. He’d only call me when he needed notes! 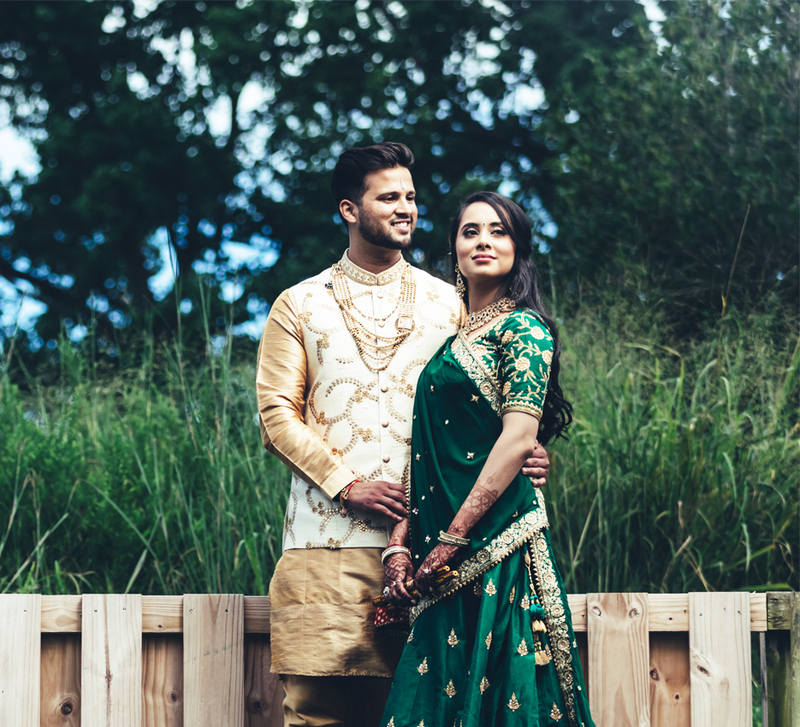 “Ours was truly a ‘Big Fat Punjabi Wedding’! Sunny and I are both old souls. We love listening to classical music and reading books spells fun for us. For our wedding, we wanted a location that resonated with our personalities. With its classic baroque interior and high ceilings, the culturally rich, Millennium Biltmore in Downtown Los Angeles made for the ideal wedding venue. The property could even accommodate our 600 plus guest list! 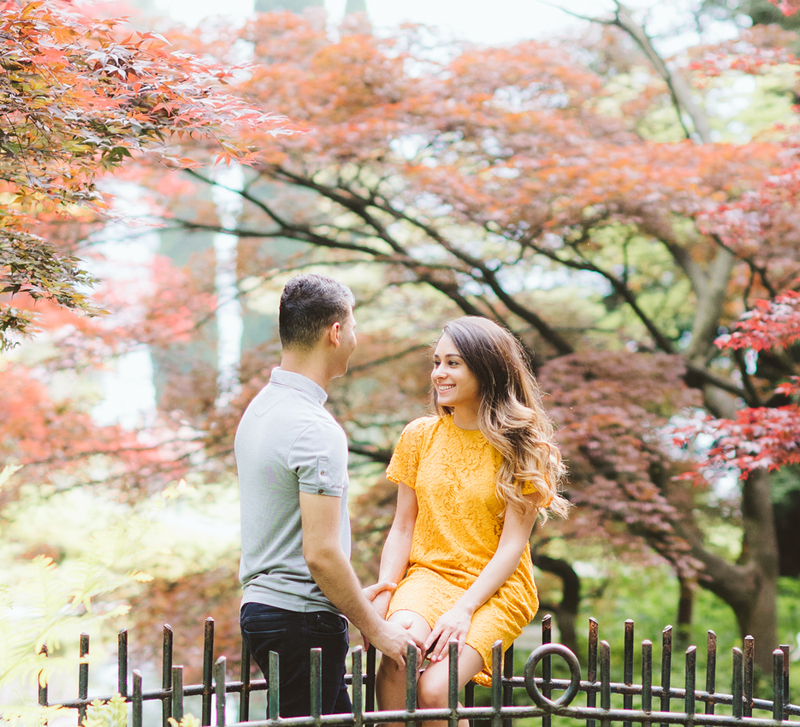 “The planning was relatively easy with Modern LA weddings by our side. Finding a venue that could accommodate a large guest list was the biggest challenge but we found the ideal location in no time. Shawna Yamamoto and Nicole conjured up décor that enhanced the beauty of our venue. Farah M styled my hair and Linda Chiriac handled my make up. I bought my entire bridal trousseau in Delhi. Our cherished moments were rendered to still and moving pictures by Duke Images and Mili Ghosh respectively.